DEPORT THEM, A CHILD TOLD US! HomeBlogNewsDEPORT THEM, A CHILD TOLD US! DEPORT THEM, A CHILD TOLD US! That is what a 10 and 15-year-old girl waiting in our reception told us when asked what ICE should do with the children arrested with their parents at the border. Our office team had brought this discussion while we choose an important topic for the week. We later found out the 15-year-old girl who said, “Deport them”, was undocumented and she didn’t even know it. Apparently, her parents had kept it a secret. Reports of children, who have been released, have come forward about their treatment under the supervision of the government, they’ve explained how they were kept in freezing cold rooms so that they wouldn’t fuss and be too troublesome. These children under the age of 18, mostly from the ages of 3-10, were told they cannot look, touch, cry and run. They had to scrub the bathroom, had to make their beds with the instructions on the wall and were forced to be up every day at 6:30 in the morning and had to get in line in order to receive any food or any items to support themselves during their stay. Perhaps, any parent will like their children to do these chores and get up early and do their chores, but would they want their children kept in cages like to force them to do it? What about the traumatic experience, that will be carried by these youngsters for life? 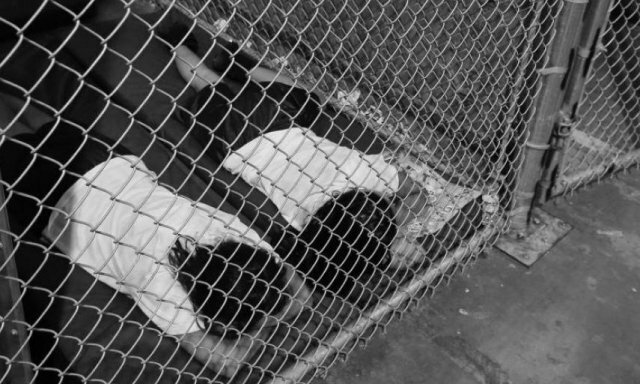 What about the message to other countries we send by treating children like this? Place children in the “least restrictive” setting appropriate to their age and any special needs. All the things mentioned above and many more are the responsibilities of a government when they find any child who was not accompanied by an adult, parent or guardian. The government is supposed to engage in attempting to find a family member or if there is no one, partner them with a sponsor who’s willing to take children who are found at the border.